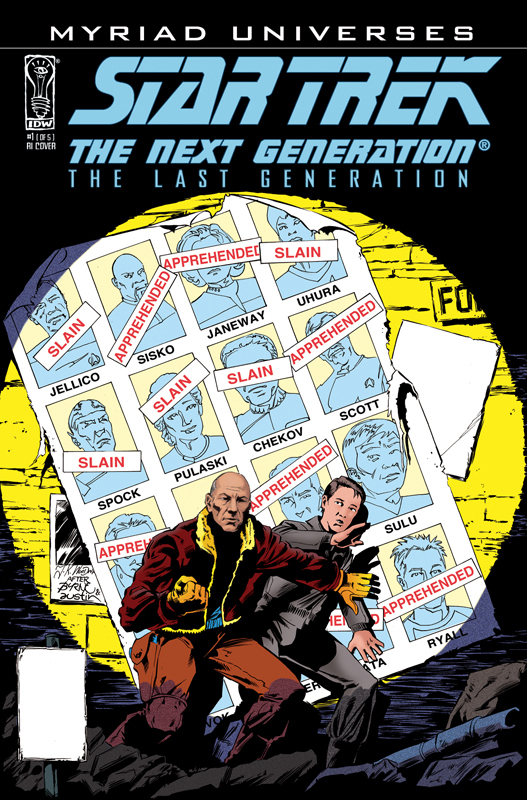 For fans of Jean-Luc Picard, Data, Worf, Riker, Troi, Crusher, and LaForge, few efforts have come as close to original episodes of Star Trek: The Next Generation since the series finale aired 24 years ago as IDW Publishing’s continuing adventures of the crew in the pages of the comic books. 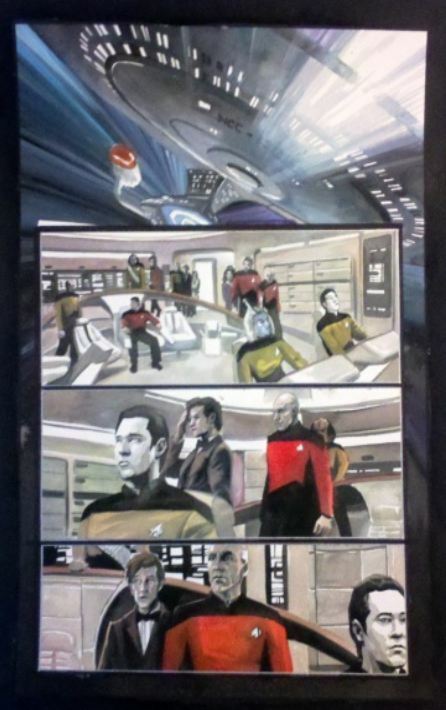 Last year artist J.K. Woodward painted a brilliant new story of the Star Trek: The Next Generation era with writers David Tipton and Scott Tipton in IDW Publishing’s nostalgic Mirror Broken series. 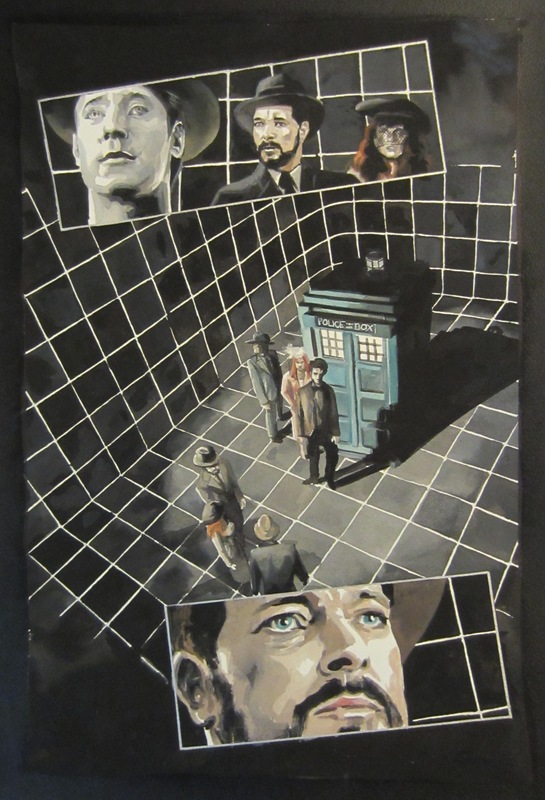 Known already for his beautiful illustrations in the Star Trek/Doctor Who crossover miniseries Assimilation², the IDW adaptation of Star Trek: The City on the Edge of Forever, also with the Tipton brothers, and the covers of the Star Trek/Green Lantern crossover miniseries, Woodward brought his jaw-dropping photo-real paintings to Mirror Broken–providing poster-worthy interior artwork for every page of the series. Woodward not only gave fans their first look at the ships and places in the Mirror universe of the TNG years, he created the never-before-seen look of each character for the franchise. Beginning today you can get all five issues of the series plus the lead-in story from last year’s Free Comic Day one-shot in the trade paperback edition. 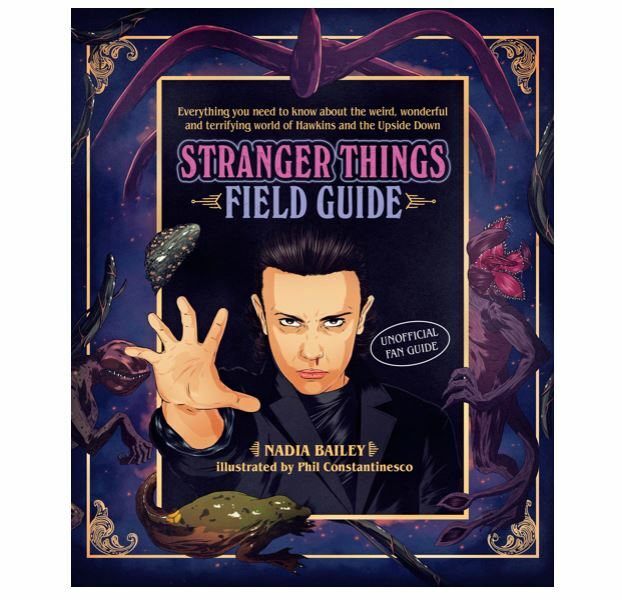 You can order it today through your local comic book store and via Amazon here. But Picard and his crew don’t stop with Mirror Broken. 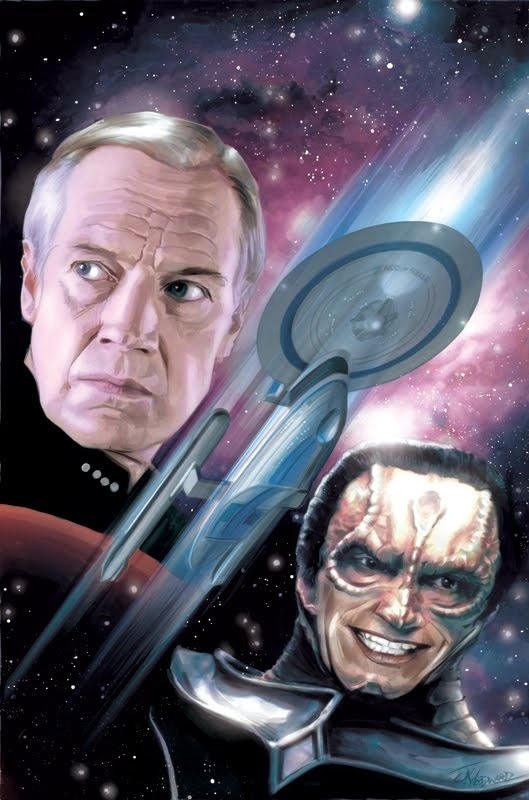 Coming this May, the Brothers Tipton are back to continue the Enterprise-D adventures in the Mirror universe with Star Trek: The Next Generation: Through the Mirror. Chris Johnson (Teenage Mutant Ninja Turtles) will take the lead with the main story arc artwork and Woodward will provide back-up stories in each issue. 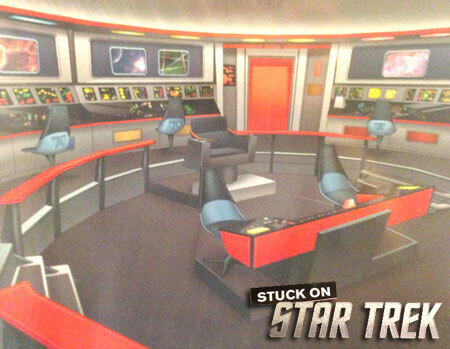 The crew is looking for new worlds to conquer, and they’re crossing over to the Prime Star Trek universe to find them. Readers will learn how the Mirror universe crossover began, and fans will see an old friend again as Emperor Spock enters the picture. 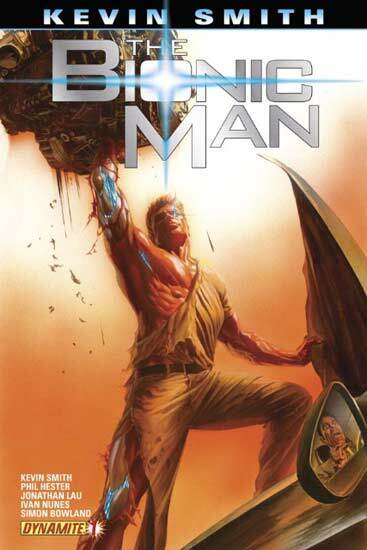 Read the individual issues of the series or pre-order the trade edition here at Amazon. J.K. Woodward homage to the NextGen crew, Mirror style, based on the 10th anniversary Continuing Mission photo. But that’s not all that will be arriving at comic book stores this year. 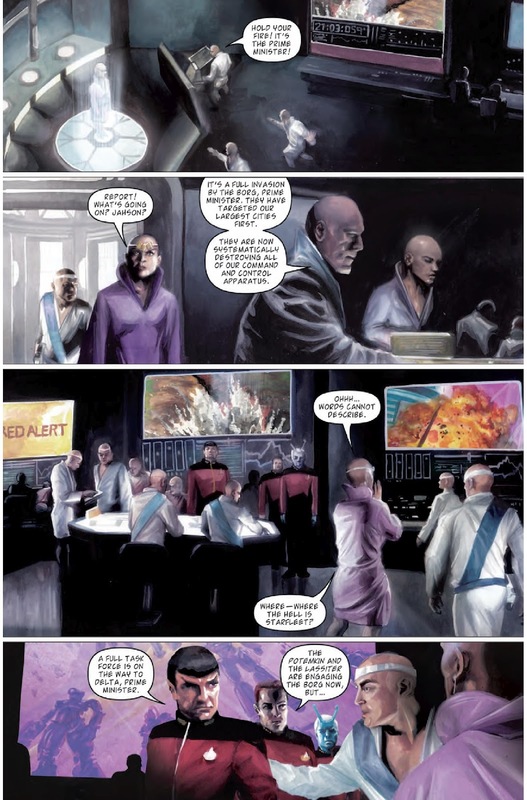 Just when you thought it was safe to return to the Prime universe, a member of the crew is not what he seems to be in the IDW series Star Trek: The Next Generation: Terra Incognita. 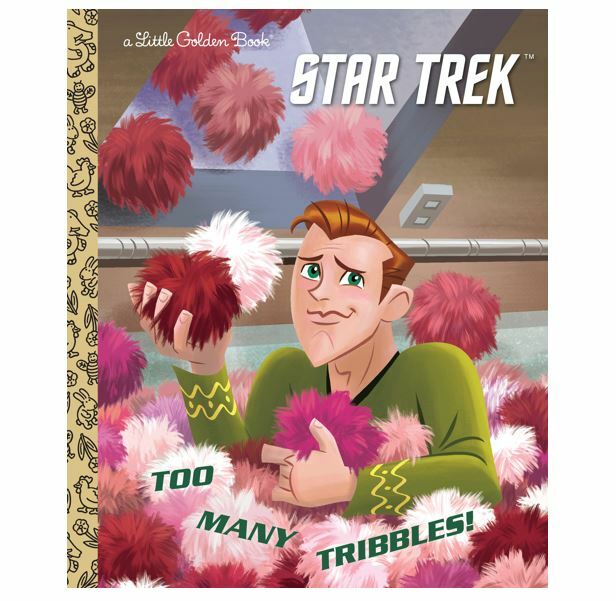 Again David and Scott Tipton take on the writing duties, but this time fan-favorite Star Trek artist Tony Shasteen (Star Trek, Star Trek: Boldly Go, Star Trek: Discovery: Light of Kahless) takes over as illustrator of the series. Star Trek: The Next Generation: Terra Incognita will feature six episodic issues reflecting the style of the and feel of the classic series over six issues. 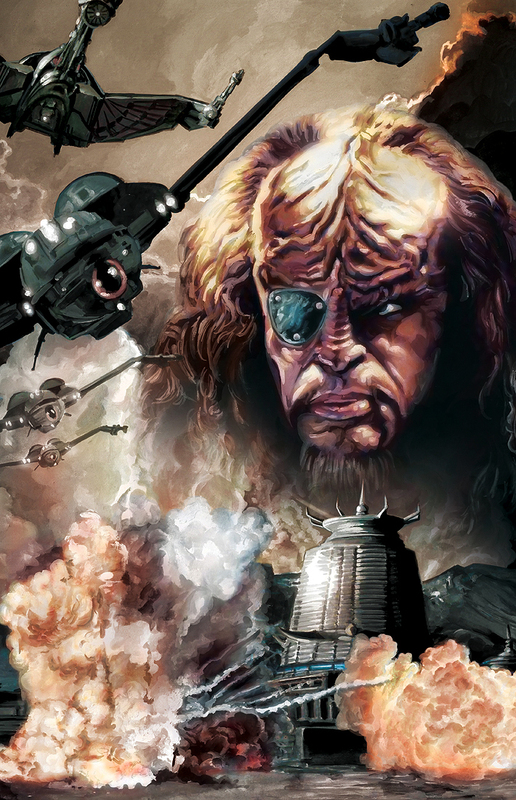 IDW Publishing’s “Mirror Broken” series–The Star Trek event of the year? Of course there’s a new Star Trek television series coming our way this year, but a new comic book series is going to knock your socks off in the interim. 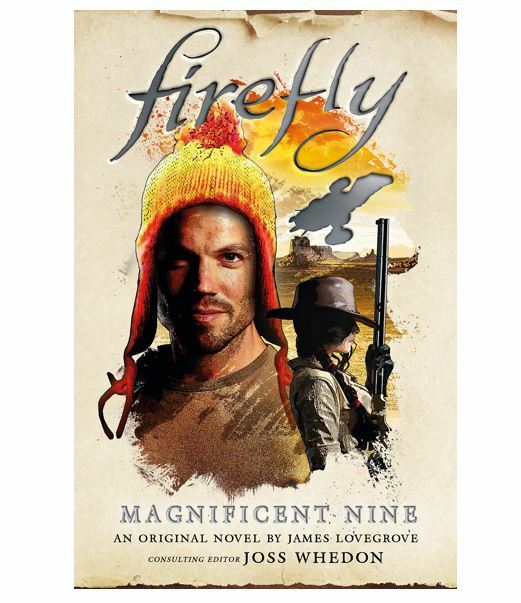 Star Trek produces some of the best tie-in stories of any franchise. Every now and then we witness a story that we wish we were watching on television or at the movies, and that next great story is IDW Publishing’s limited comic book series Star Trek: The Next Generation–Mirror Broken. For the first time ever the crew of the Enterprise-D gets to play in the world of daggers, sashes, and deception in the evil Terran Empire instead of the idyllic Federation, already seen by the crews of the original Star Trek series, Deep Space Nine, and Star Trek Enterprise. Only three issues in and the next issue can’t get here soon enough. Brothers David and Scott Tipton (who touched on the NextGen Mirror universe in IDW Publishing’s 2008 Mirror Images series) return to Star Trek comics to script a dark, parallel timeline fans never got to see in seven seasons of the TV series (although we were treated to plenty great alternate universe shows in episodes like “Parallels” and “A Few Good Things…” and even a Mirror-like universe in one of the series best episodes, “Yesterday’s Enterprise”). Known already for his beautiful illustrations in the Star Trek/Doctor Who crossover miniseries Assimilation², the IDW adaptation of Star Trek: The City on the Edge of Forever, and the covers of the Star Trek/Green Lantern crossover miniseries, artist J.K. Woodward now brings his jaw-dropping photo-real paintings to Mirror Broken–providing poster-worthy interior artwork for every page of the series. Woodward not only gives us our first look at the ships and places in the new Mirror universe, he created the look of each character for the franchise. 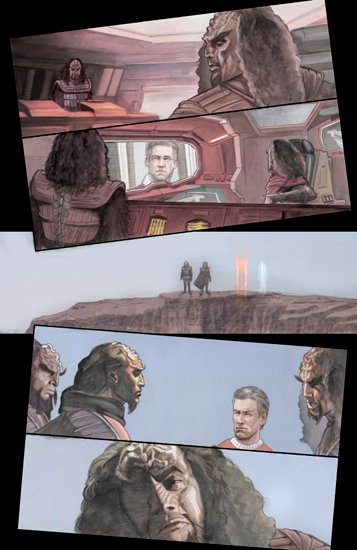 The first issue of the mini-series is actually an introduction to the new Mirror universe in IDW’s Free Comic Book Day issue from this past May. 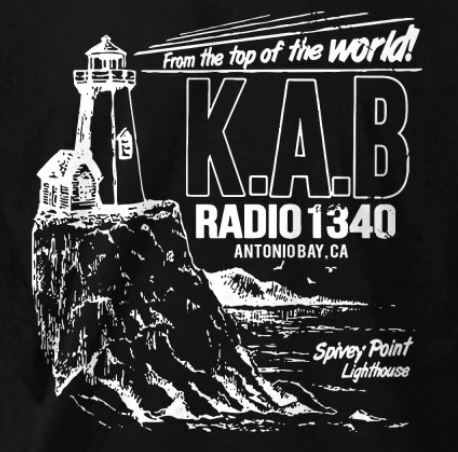 Readers learn all the subtle, and not-so-subtle, changes in the alternate universe via Lieutenant Barclay, played in the series by Dwight Schultz. We see not only a different view of Starfleet, but Barclay himself is a changed man, having fought his way up the ranks. Fan favorite Tasha Yar, played by Denise Crosby in the series, is woven into the story as well. 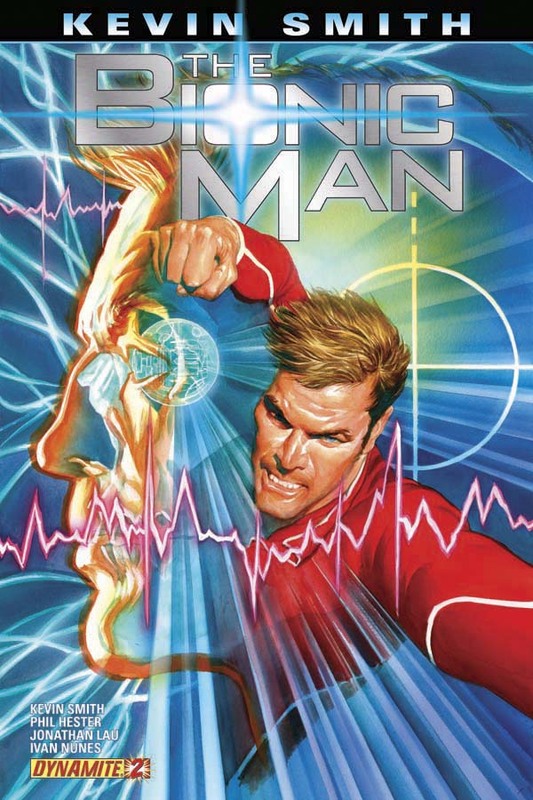 The main cast is fleshed out in the first and second numbered issues: a ruthless Captain Jean-Luc Picard, a tough Commander Will Riker, and Counselor–now Inquisitor–Troi, who is not just a Mirror pin-up beauty but a sharp and manipulative power center as Picard’s main confidante. Lieutenant LaForge is still the go-to engineering whiz and Commander Data is still trying to know what it’s like to be human, only in a world of skewed objectives and uncertain loyalties. And everyone looks believably like the original actors (updated with Woodward’s blend of Michael Westmore make-up, of course). 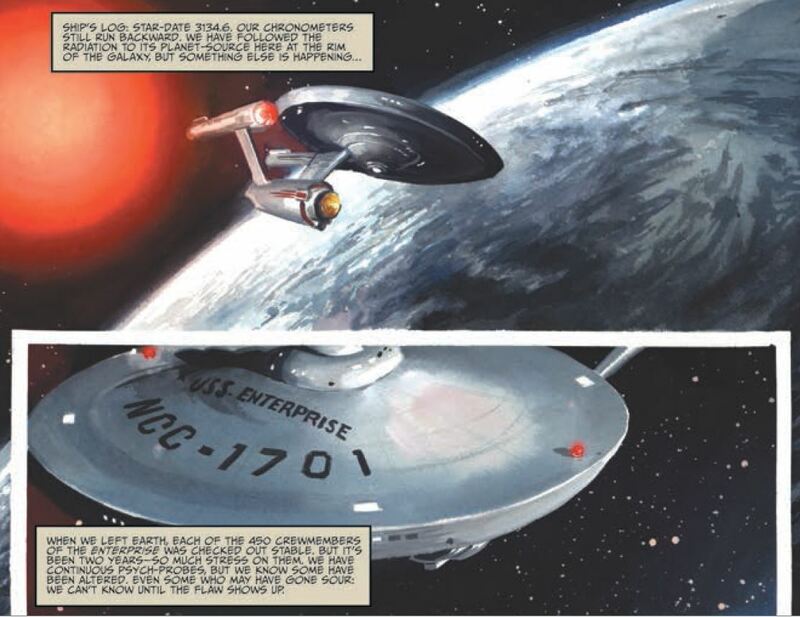 Hands down J.K. Woodward is the best artist to ever take on Star Trek in the comic book medium. 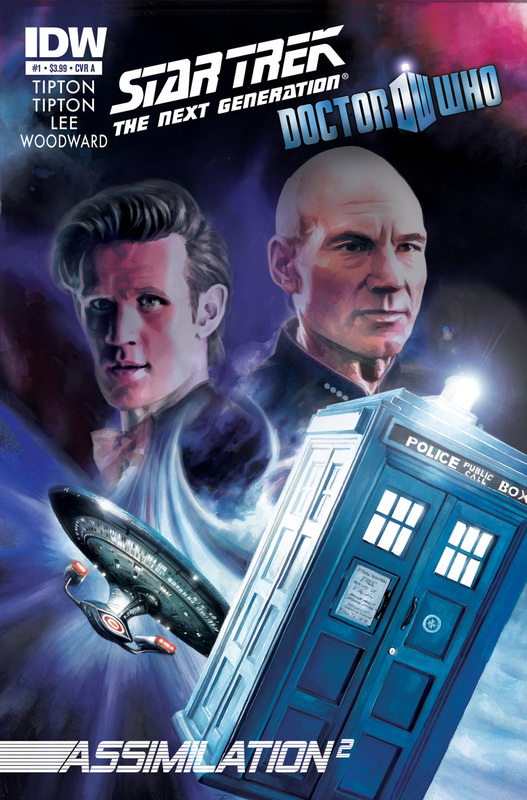 His Star Trek: The Next Generation/Doctor Who Assimilation² was a stunning visual journey, and that series, reviewed here at borg.com, showcased Woodward’s superb painted panels and contained an imaginative story by David and Scott Tipton. 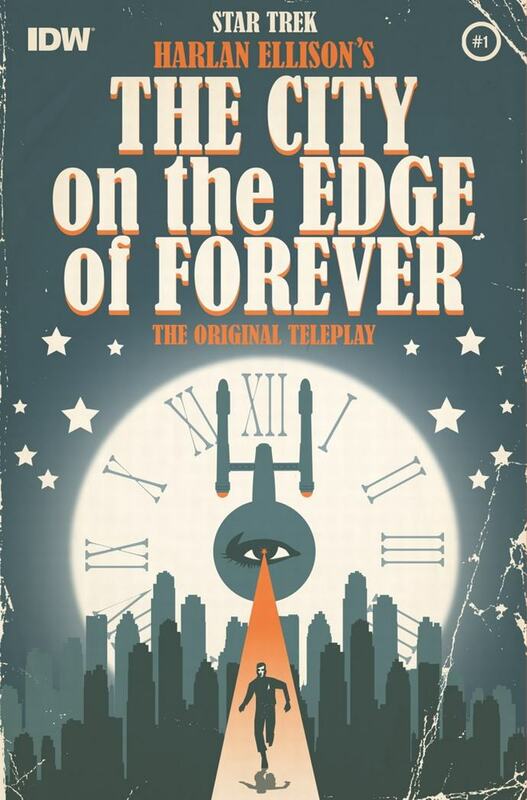 Tipton, Tipton, and Woodward are back this week with the long-titled Star Trek: Harlan Ellison’s The City on the Edge of Forever, The Original Teleplay, a five-issue limited series beginning tomorrow. 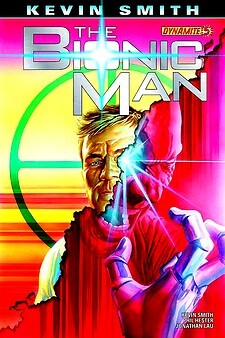 For borg.com readers we have a nine-page preview of the issue below after the break, courtesy of IDW Publishing. The Star Trek: The Original Series episode “City on the Edge of Forever” is regarded by many (including a TV Guide poll of the “100 Best TV Episodes of All Time”) as the greatest Star Trek episode of all time, but what made it to television was a far cry from the original teleplay by noted science fiction writer Harlan Ellison. Ellison’s original teleplay won both the Hugo Award for Best Dramatic Presentation as well as the Writer’s Guild of America’s Award for Most Outstanding Teleplay. 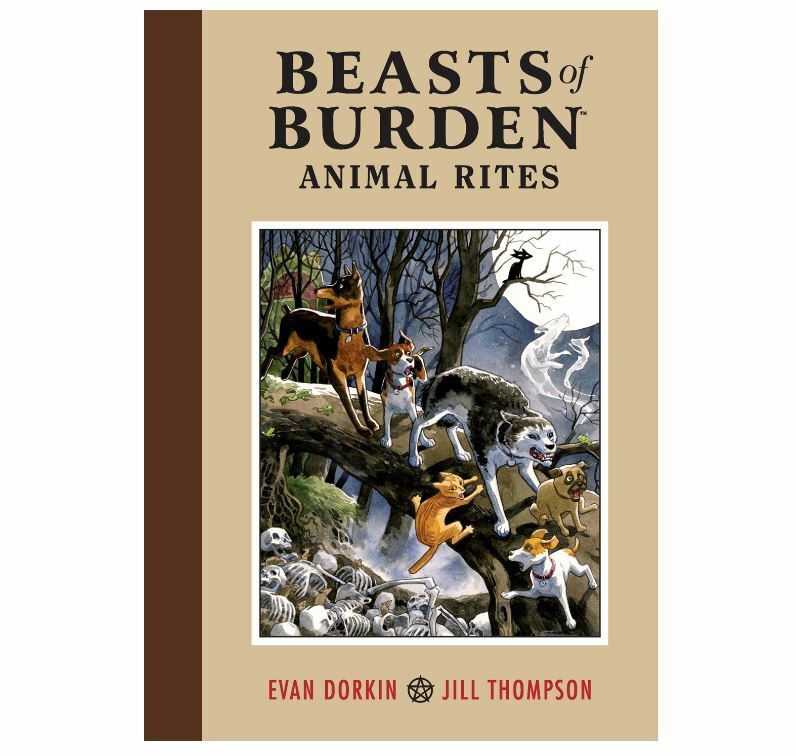 The new IDW Publishing comic book mini-series, produced under the guidance of Ellison, now brings the classic story to fans like they haven’t seen it before. Issue #1 is a blast. Woodward’s visuals are eye-popping as usual, and the story presents its own parallel universe for those familiar with the classic TV episode. Yeoman Rand never looked better! 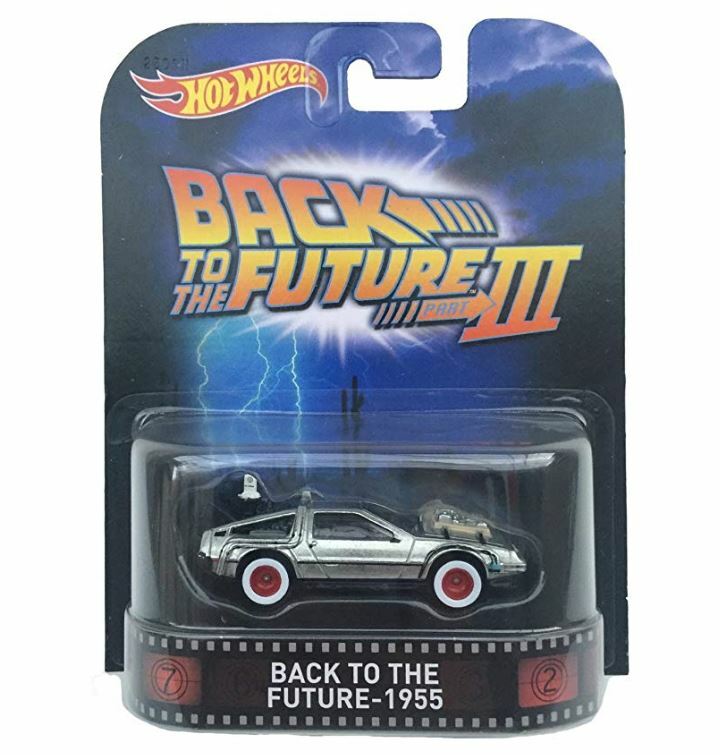 Back in December I tracked down and discussed here ten retro toys you could still buy as gifts for the holidays. 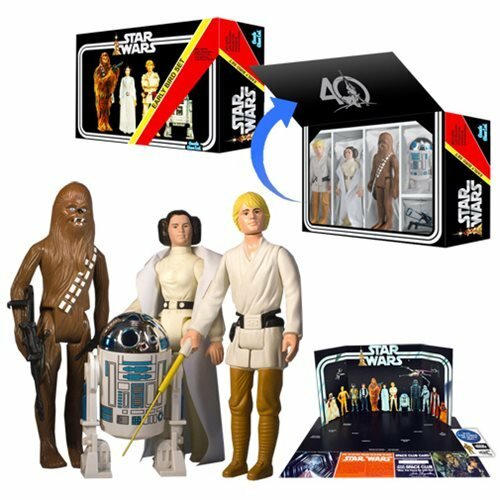 In that list I included Colorforms–those reusable, thin plastic stickers that you could use to re-create scenes on a cardboard backdrop. As a kid I went crazy for these–I had every Colorforms set from Star Trek to Peanuts, The Fonz, Marvel Superheroes, Mickey Mouse, Scooby Doo, Evel Knievel, and an awesome oversized set called Castle Dracula where you could house all of the classic Universal Studios monsters under one roof. 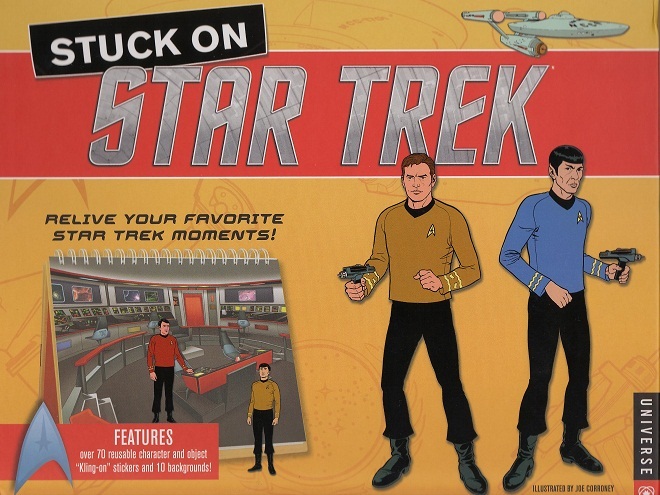 The Star Trek Colorforms playset came with a backdrop of the bridge of the original Enterprise and white, yellow, blue, and red colored stickers featuring crew, hand weapons and aliens. It was a popular set and provided hours of fun. Colorforms still exists but doesn’t license a lot of movie and TV properties, but I recently saw in a toy store playsets for young kids with Yo Gabba Gabba , Dora the Explorer , and Spongebob. Clearly with all the high-tech toy options for kids these days it’s the littler kids that are the Colorforms target consumer. 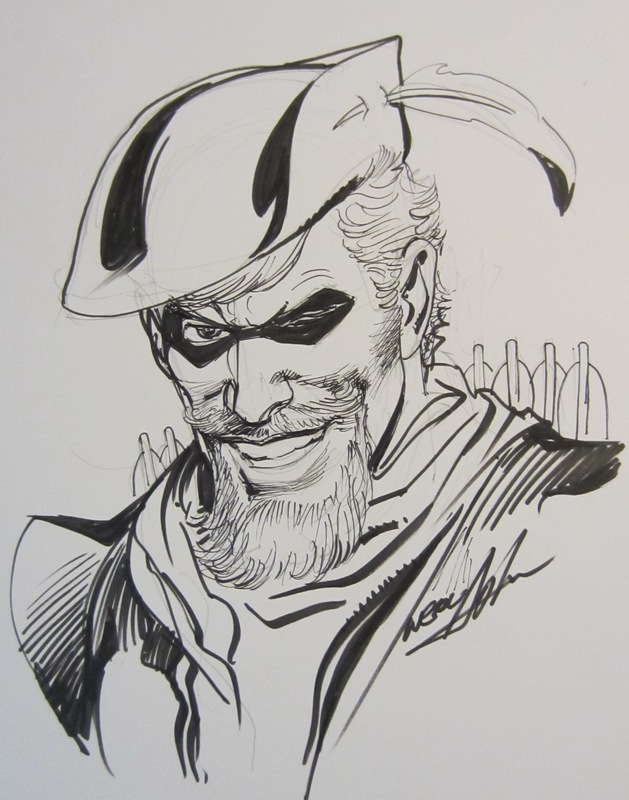 For the past decade I have tried to ask at least one artist at every comic book or pop culture convention that I attend to draw me a Green Arrow or Black Canary (or both) sketch. I’ve asked this from artists whether or not they have drawn these characters before and most artists are happy to do it. 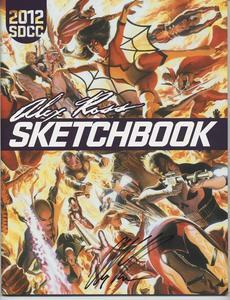 Some well-known artists charge a fee for sketches and many others will sketch for free. 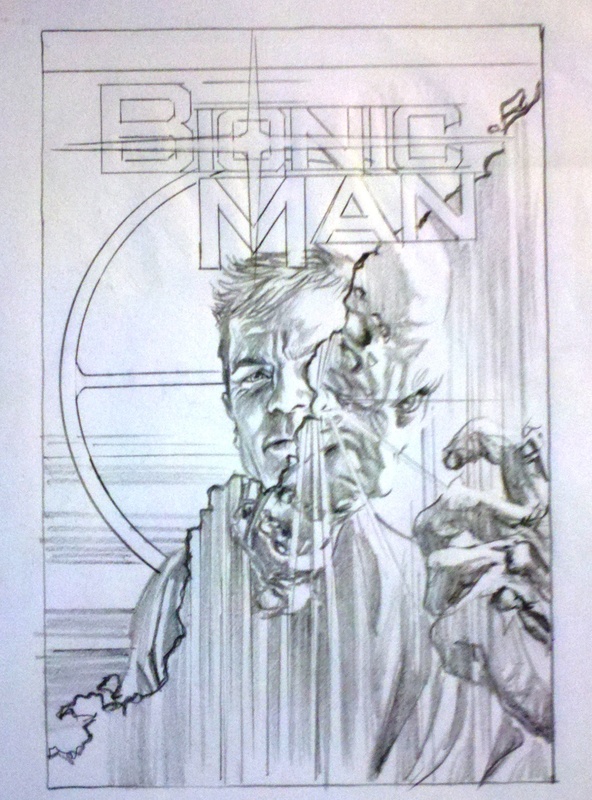 Sometimes the key is letting the artist know your sketch is not just going to appear on eBay the next day. 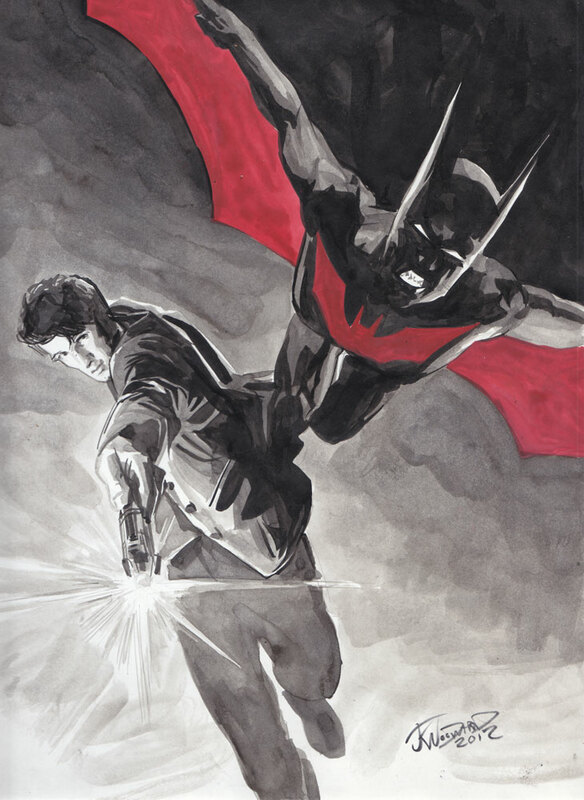 Adam Hughes was in the news about this a few years ago when he worked all day on a sketch for someone that promptly flipped it on Ebay for several hundred dollars. 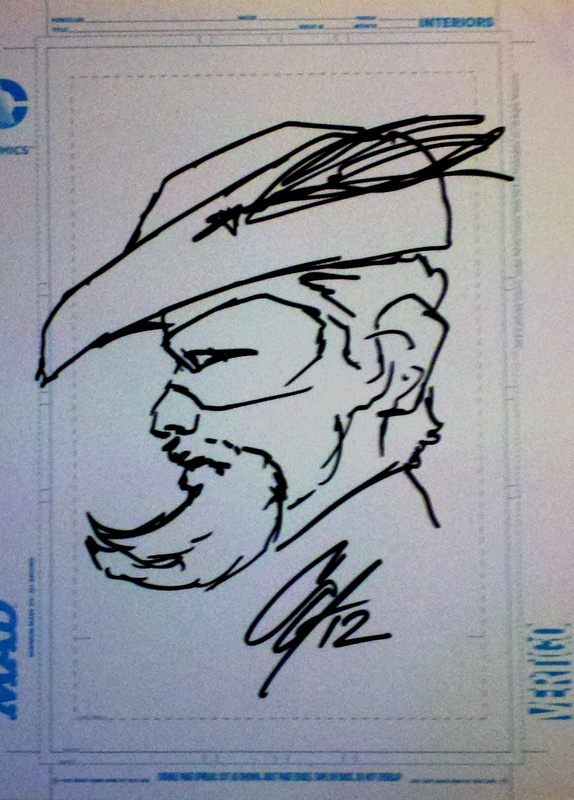 He vowed off Con sketches after that. Some people, usually guys who have been going to cons for much longer than me, started with a sketchbook—a blank art book—and hand it off to artists at conventions. 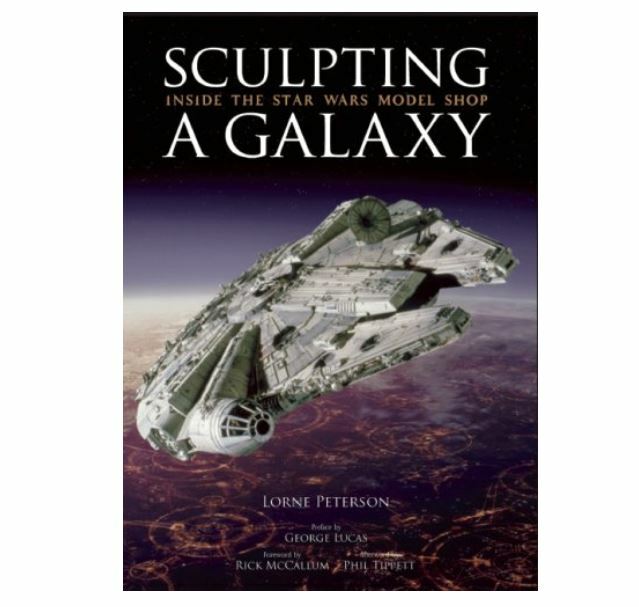 These books convey to artists that this fan is going to keep whatever they draw and sometimes artists will take more time when they draw in someone’s sketchbook. I’ve never gone the book route but like getting sketches on blank paper, usually supplied by the artist soI don’t have to leave a book behind. 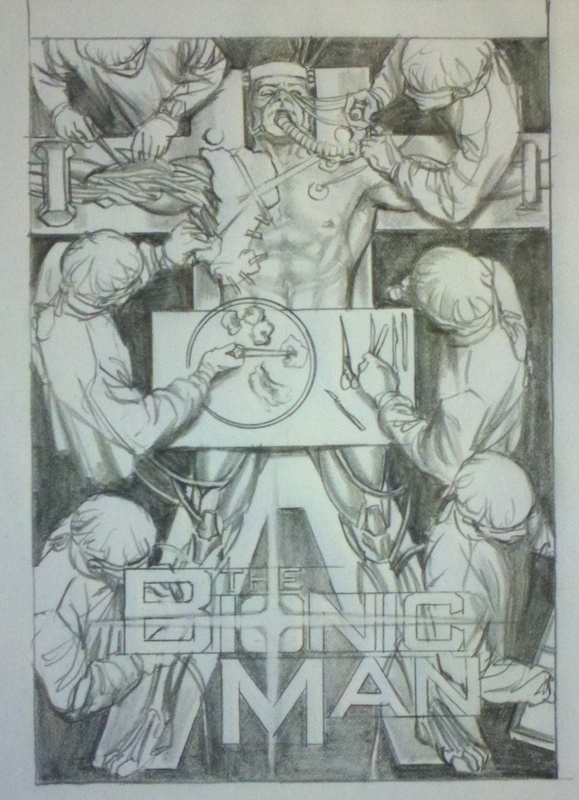 I have featured some of this original art at borg.com previously. It makes a nice addition to my collection. 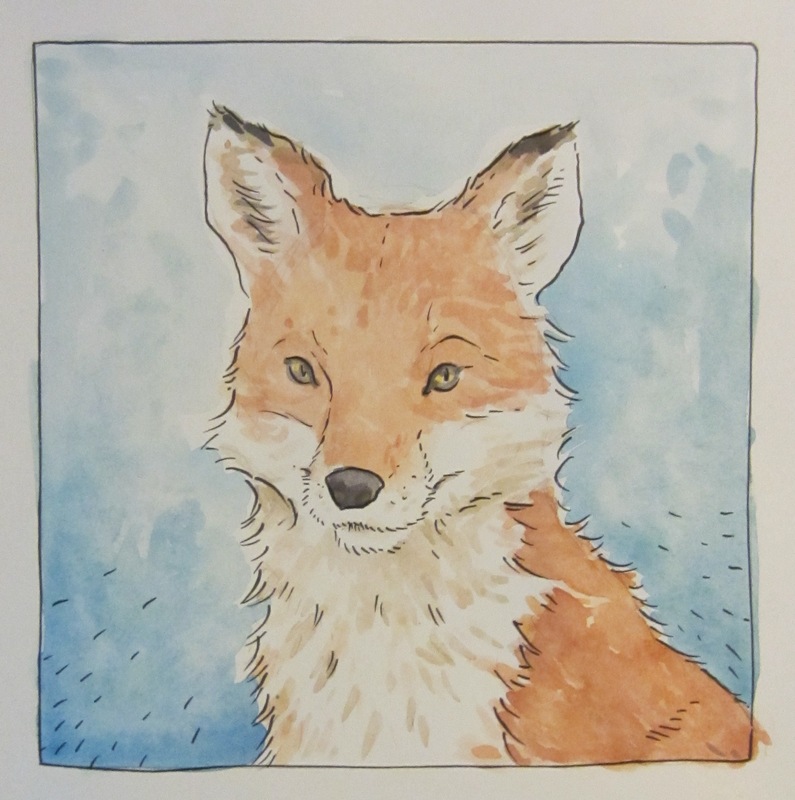 A nice watercolor image in his unique style! I love Zatanna in her magician’s box, waiting to make an appearance. 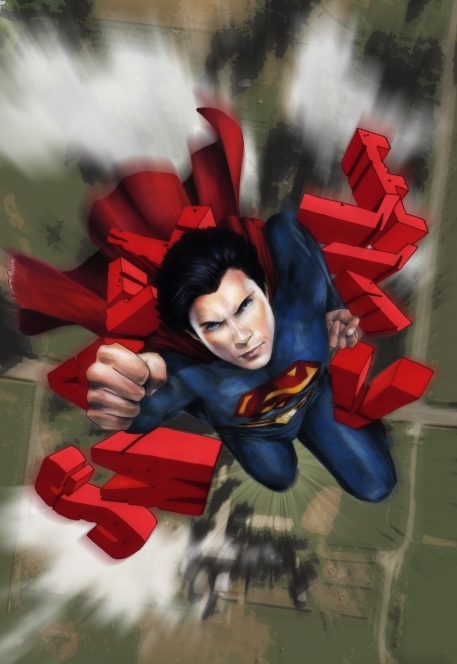 This sketch was created for an Infinite Crisis card game. Next, if you like Trek and Doctor Who like I do, you just can’t beat the Eleventh Doctor on the bridge with Captain Picard. And check out that great rendering of the Enterprise-D soaring above! Again this year Michael Turner art was available at the Aspen booth and it is always amazing to flip through the late artist’s work. 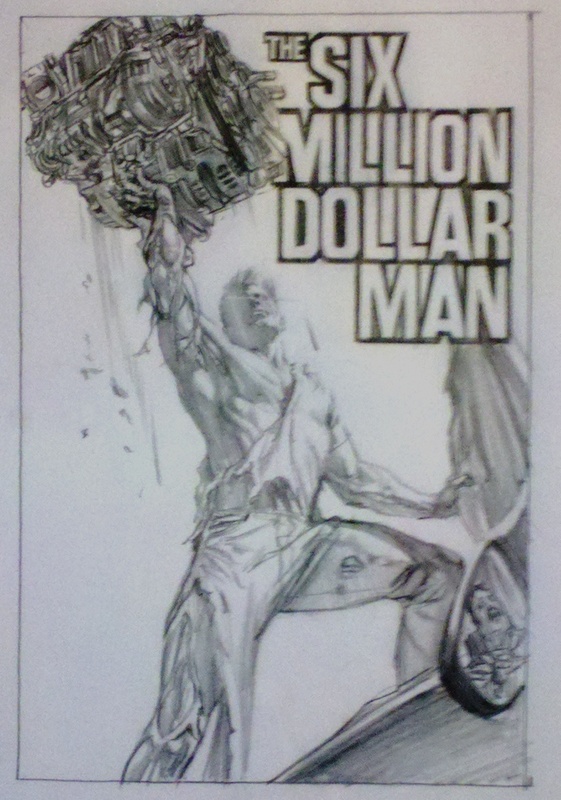 If you like seeing the creative process behind the scenes, it’s hard to beat seeing original comic art in person. And if you have the time hundreds of artists in Artist Alley are there sketching away throughout the Comic-Con weekend, and love to talk about their work and process. 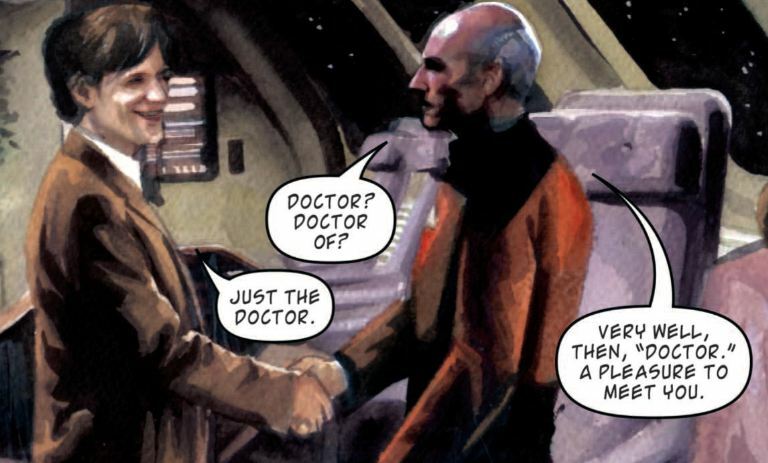 The first issue of Assimilation² was a nearly perfect read for fans of both Doctor Who and Star Trek. 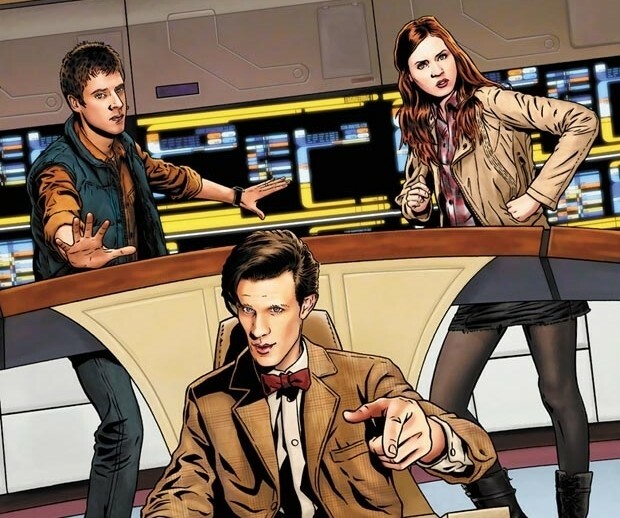 As we reviewed here a few weeks ago, Issue #1’s introductory story focused on the 11th Doctor, Amy Pond and Rory. For fans of Star Trek who felt a little left out in Issue #1, Issue #2 was sure to satisfy your craving for more Picard & Co. In fact, Issue #2 is so well crafted you will feel as if this story is a long-lost episode of the TV series. 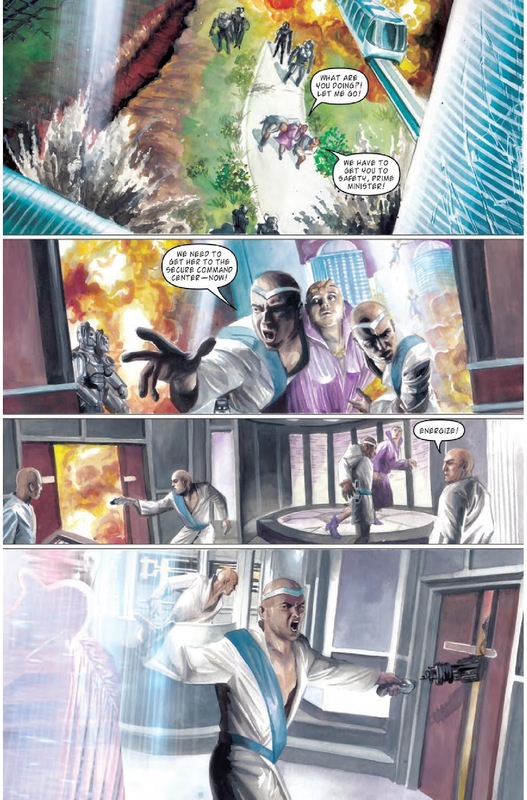 I’ve read a number of versions of Star Trek translated to comic books over the years. The biggest problem I encounter as a reader is with a writer fully understanding the characters enough to not only repeat words the main characters said in the original iteration of the show (which always seems to land with a thud), but to be able to understand the characters to a level of writing entirely new dialogue in the manner of those characters. In the Star Trek comic book universe this may be the first time someone nailed it. It helps that JK Woodward’s painted panels look almost photo-real, almost like I am wearing a pair of eyeglasses or looking through a window and viewing the old TV series. It’s a strange effect, but I love it. Like many Star Trek: The Next Generation episodes, the story of Picard’s ship begins with an away mission that isn’t really the focus of the story. Here Commander Riker leads Data and Worf to a planet of amphibious lifeforms and rare minerals being collected by a Starfleet-based team. (The local captain actually looks a bit like the actor Cheech Marin in his mature years!). Upon returning, on a whim, Picard asks his team to ready the holodeck as a new Dixon Hill holonovel is available. 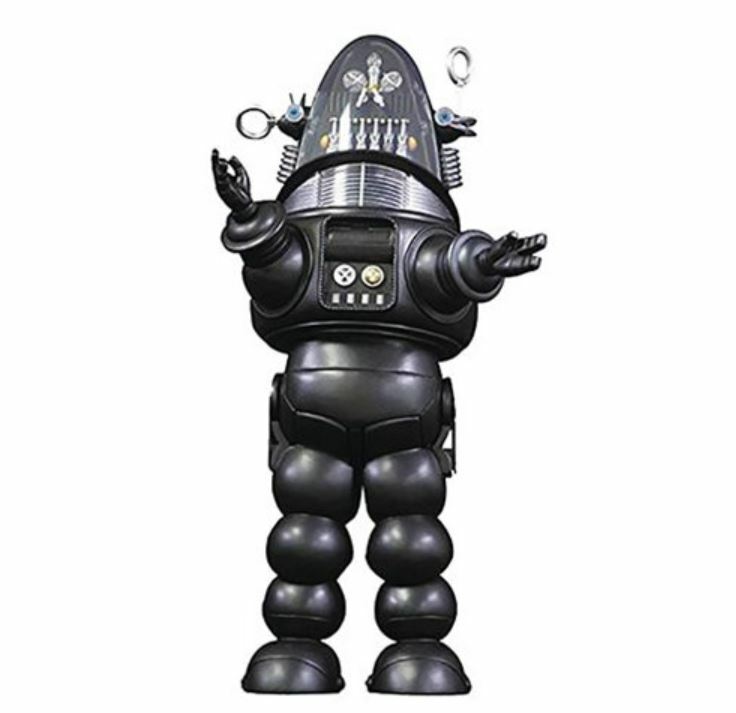 We’ve seen the Star Trek crew encounter sentient or near sentient beings in the holodeck before. We’ve met Sherlock Holmes’ nemesis Moriarty, who actually stepped out of the holodeck. In Star Trek Voyager we met a small Irish town that became so enmeshed with the crew they seemed like series regulars. Here, the encounter is classic Enterprise-D stuff. Riker could not be written and drawn better. Data is perfectly drawn. Holodeck episodes were often the best and certainly the most fun for stories–“The Big Goodbye”–the episode that introduced us to the holodeck, won a Peabody Award. Dwight Schultz’s Barclay character had a stand-out performance as a Starfleet engineer with holodeck addiction in the episode “Hollow Pursuits.” The emergency medical hologram doctor in Star Trek Voyager had his own best performance falling for a valkyrie named Freya in the holonovel of Beowulf in the episode “Heroes and Demons.” Like I said before, they just nailed it with this story. They did so to the point that they even included an obligatory buddy Pinocchio-esque conversation between Data and Geordi that easily would have been in the series (I know some folks like this stuff but it got monotonous in the series… but I say “enough already with the android self-reflection plots”). One thing yet to be addressed is whether writers Scott and David Tipton will have Captain Picard consider the Doctor as a Q or not. I’ve never been a big fan of the Q characters but am interested to see if this ever is an issue. Of course, Picard and the Doctor only meet up with Cybermen and The Borg at the end of this issue. The big face off, I expect, is coming in Issue #3, which will not be released soon enough for this reader. 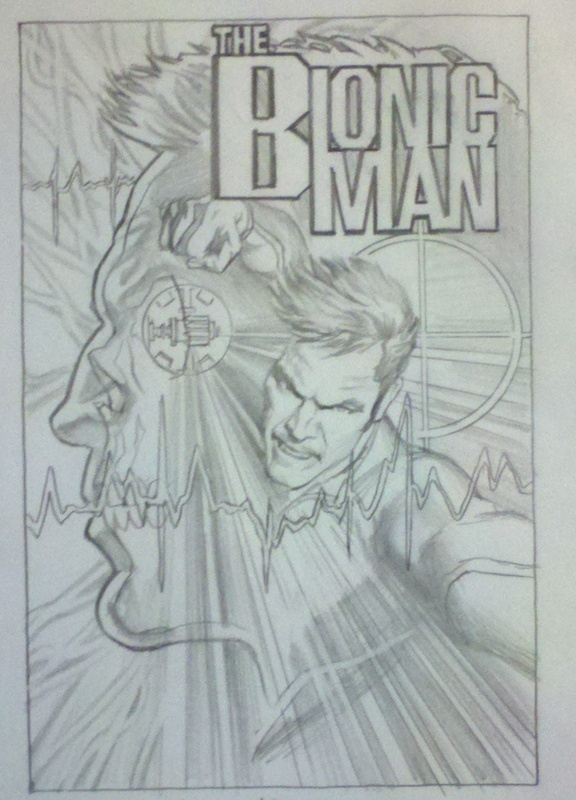 The cover for Issue #3 features Captain Kirk and Mr. Spock from the TV series era, so I am expecting some time travel. Be on the lookout–one of my favorite secondary Star Trek characters has a cameo in Issue #2–none other than Susie Plaxson’s Dr. Selar makes an appearance with Doctor Beverly Crusher and Nurse Ogawa. (Hopefully the amphibious lifeforms will end up back on the Enterprise-D at some point–maybe in the heard of but not seen null gravity ward?). And there’s a really nice sweeping view of the Enterprise-D appearing right where it would after a commercial break. Two issues in and it remains my nominee for Best Team-Up Series ever. Bravo! Waiting and waiting for IDW Publishing’s extraordinary crossover of Star Trek and Doctor Who, Assimilation², I actually missed the release and finally picked up my copy, which was already in its second printing. 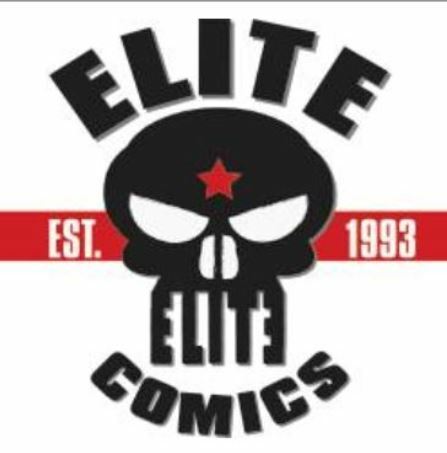 Everything seems to go to second printing these days because it’s a pretty predictable task for the distributor to know how much of what will sell based on comic store orders. 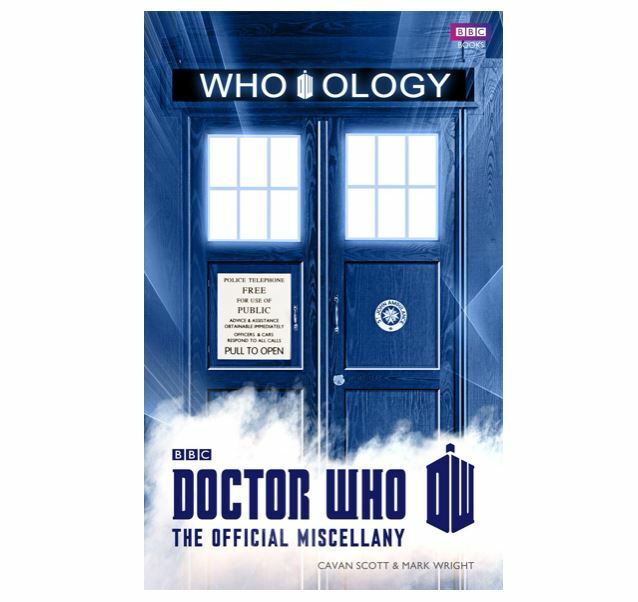 Still–an initial sell-out and in-demand second printing reflects the big fan bases out there that are Star Trek and Doctor Who, the Trekkies and the Whovians, as stated on our member badges. If you love the current Matt Smith and Amy Pond Doctor Who, you will love Assimilation². If you are a Trekkie, Issue #1 will have you adding Issue #2 to your comic book pull list. 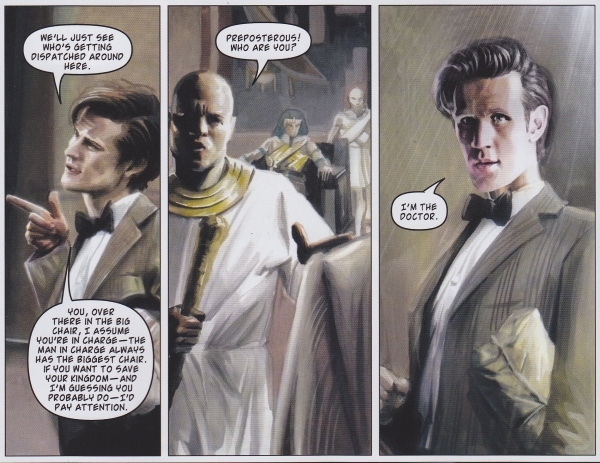 To get it right, any adaptation of Matt Smith’s Doctor Who must have his banter right. It must show Amy Pond as curious and inquisitive and hesitant. It must show husband Rory as protective and cautious. And it must break out of the comics page with a crazy opening action sequence, closing out some prior grand, epic, historic adventure. And include the ludicrous blue phone box called the TARDIS and those evil, stilted cyborgs called the Cybermen. Check. Check. Check. Check. Check. Check. And… check. 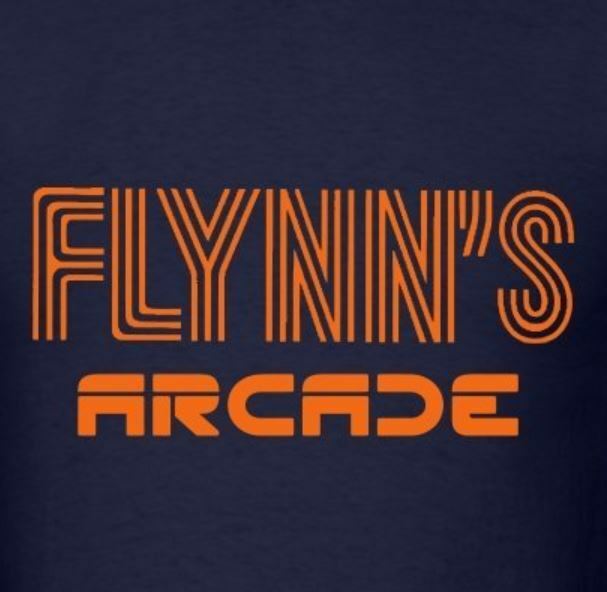 This is the crossover to rival all crossovers. Believe the hype. And it is pretty much perfect. Actually I’d call it perfect but I’m sure there is something not perfect and I am just ecstatic they got it so right–I guess they have two of the big three genre franchises and adding a Star Wars element may just cause the world to explode. Someone who gets Trek and Who? 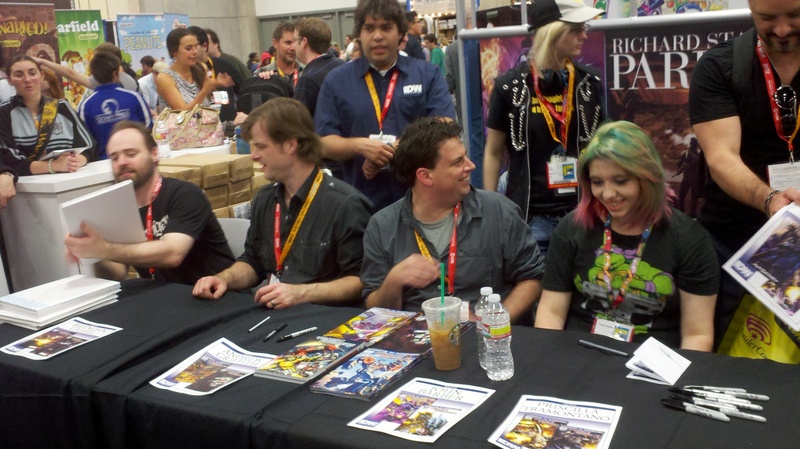 They’re writers Scott Tipton, David Tipton and Tony Lee and artist J.K. Woodward. Let’s start with the writing. 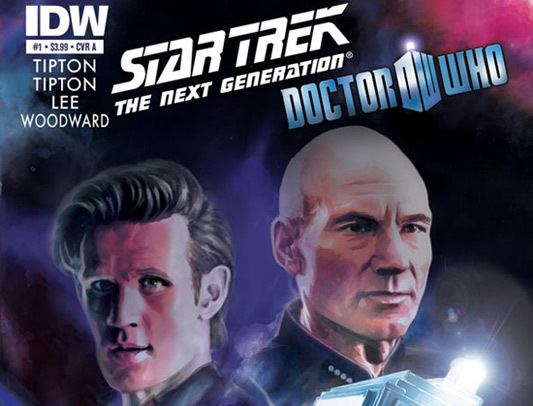 First, since this is an ongoing series focusing on Doctor Who’s 11th Doctor and Star Trek: The Next Generation, there will be a lot to cover, and so Issue #1 features only minimal Next Generation content. But where the Doctor will meet Lieutenant Commander Data and Commander Riker is one of the best lead-ins/cliffhangers to a next issue I have seen in years. If you have seen the Emmy Award winning Next Generation episode “The Big Goodbye” you’ll have an idea of what I am talking about. The series opens with a visit to a place Star Trek: The Motion Picture fans, and specifically fans of the Deltan named Ilia, will find a refreshing place to start–Delta IV. 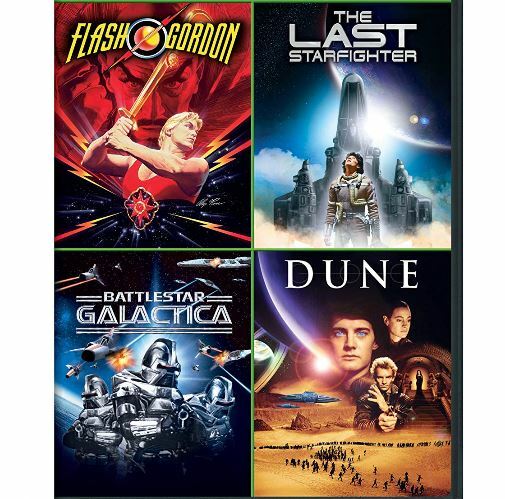 Bombarded by The Borg of Next Generation, Voyager, and First Contact fame, a Federation officer realizes they have partnered with another cyborg entity, and unlike past visits from The Borg, these borg aren’t just assimilating, they are annihilating. 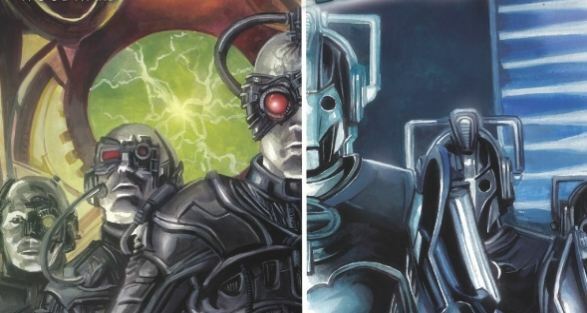 A Cybermen partnership with The Borg? Perfect. Next we land smack dab in the middle of an ancient Egyptian adventure with rip-roaring action, the Doctor, Amy, Rory, a pharaoh, and an alien visitor. Team Tipton and Lee do exactly what they need to and get the personalities and banter just right. They leave for their next adventure, which will pick up in a very familiar place for Next Generation fans in Issue #2. And look for a few “Easter eggs.” Bravo! Now to artist J.K. Woodward. If you’re going to have a breakout work this is the place to do it, and I will go so far as to say his work on Issue #1 rivals Alex Ross’s painted art in his Uncle Sam series. 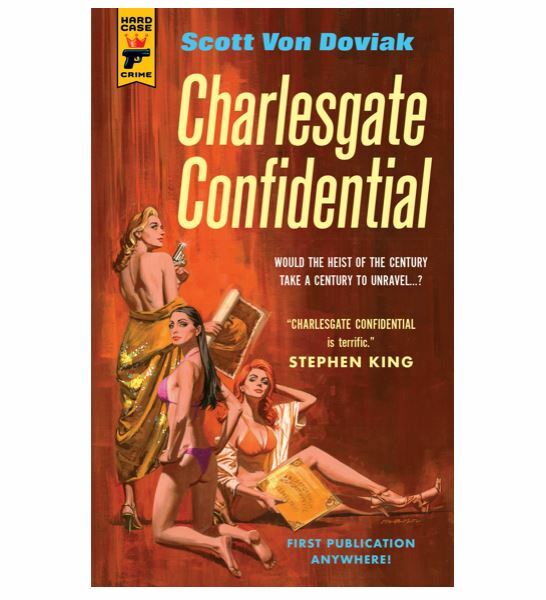 It may even be better than the paint work on Ross’s Marvels series. It’s not as detailed to be sure, but his renderings of actors gives us more than enough to let us slide right back into watching old Next Generation episodes and the next season of Doctor Who. Woodward also does something you don’t see every day–action sequences in a completely painted tale that are beautiful and interesting. 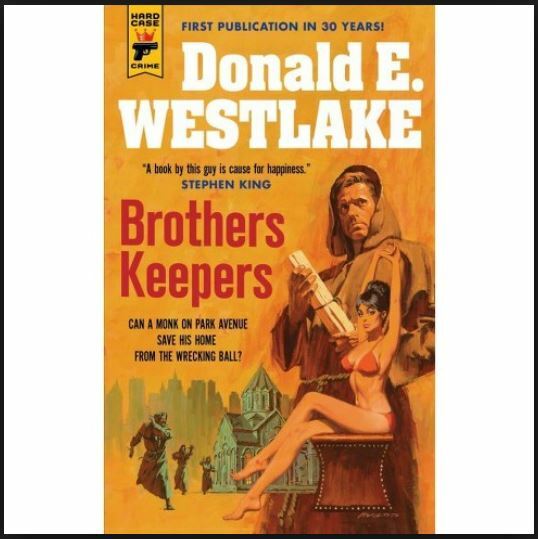 His Delta IV looks how you might have imagined it. His 1940s era San Francisco seems so, so familiar you’ll feel like you’ve been there before. Tipton, Tipton, Lee and Woodward make it look easy. But if you’ve read a lot of genre property spin-offs, you know that Star Wars writers cannot get away from having Luke and Han repeat ad nauseam “I have a bad feeling about this.” Look for none of that in Assimilation² Issue #1. These guys got it right. Let’s hope these guys keep up the momentum in Issue #2 and the rest of the series. Will the series take place between 2365 and 2373 or will writing Team Tipton give us a future story? The answer to that can be found at least in part in the gatefold image above–showing clearly the bridge of the Enterprise-D, which is destroyed as acting Captain Will Riker careens the saucer section across the surface of Veridian III in 2371 (Star Trek Generations). So, unless there is some time travel, and with Doctor Who there fortunately always is time travel, at least part of the story will occur on the Enterprise-D between 2365 and 2371. 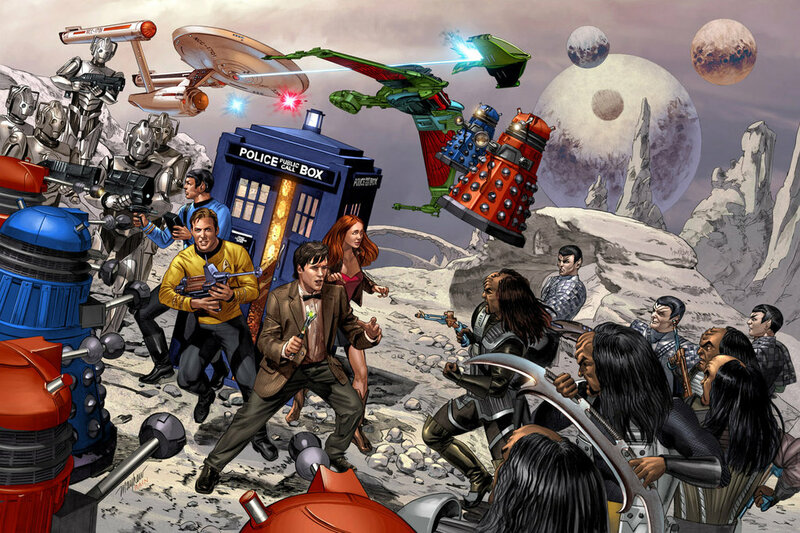 Either way, Star Trek and Doctor Who fans can hardly wait! One of the key differences I have always appreciated is the differences between Star Wars and Star Trek that make both franchises great. 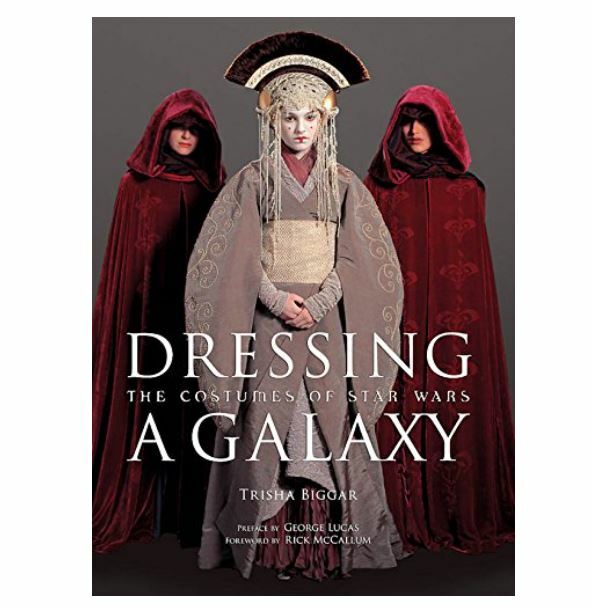 Star Wars was more rounded in science fantasy and Star Trek in science fiction, the difference primarily being thw eighting of the world building between magic and technological explanations. It may be that is the reason that the omniscient race of Qs rubbed me wrong in Star Trek: The Next Generation. Star Trek was always better staying away from magic or religion, a leaning and preference of creator Gene Roddenberry himself. Q’s silly jumping in and out of crises, and even causing them, often made Picard, our hero, look baffled and sometimes petty and annoyed, which I think detracted more than it added to the series. So I’m a bit surprised that I am not bothered at all at a union of similarly omniscient Doctor Who and Captain Picard’s crew in the May mini-series Star Trek: The Next Generation/Doctor Who: Assimilation². 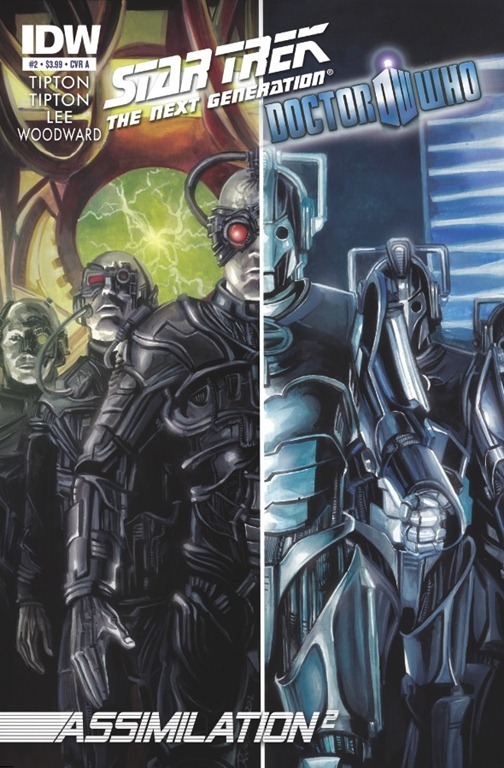 What’s more fun than taking the two franchises’ greatest borgs, Cybermen and The Borg, and throwing them together? A conversation between Rory and Data? Commander Riker hitting on Amy Pond? Is Q a long-lost Doctor? Is the Doctor a long-lost Q? I for one love it when obvious fans of genre series get to dive into the creative process like this. 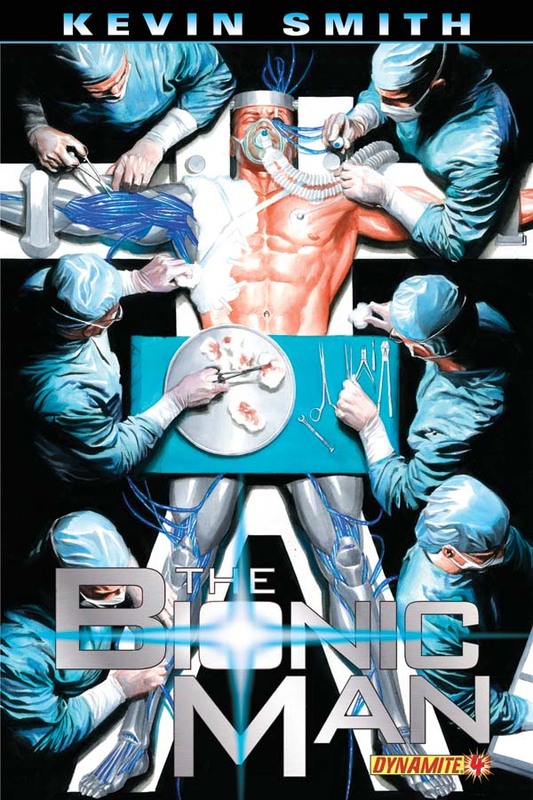 borg.com readers will know Mike from his past work on Green Arrow. He is currently finishing up the successful Marvel series FEAR ITSELF: THE HOMEFRONT and is currently working on a creator-owned book. As a rabid fan of both Star Trek and Doctor Who, I couldn’t be happier that CBS and IDW Publishing finally realized what a good idea they had from the Wizard Magazine reference. From the CBS/IDW announcement: “By joining these two sci-fi powerhouses, fans will be taken on the ultimate adventure through time and space,” said Liz Kalodner, executive vice president and general manager of CBS Consumer Products. “We are excited about this new adventure for the Doctor and the fact that he will be travelling with Captain Jean-Luc Picard and his iconic crew. 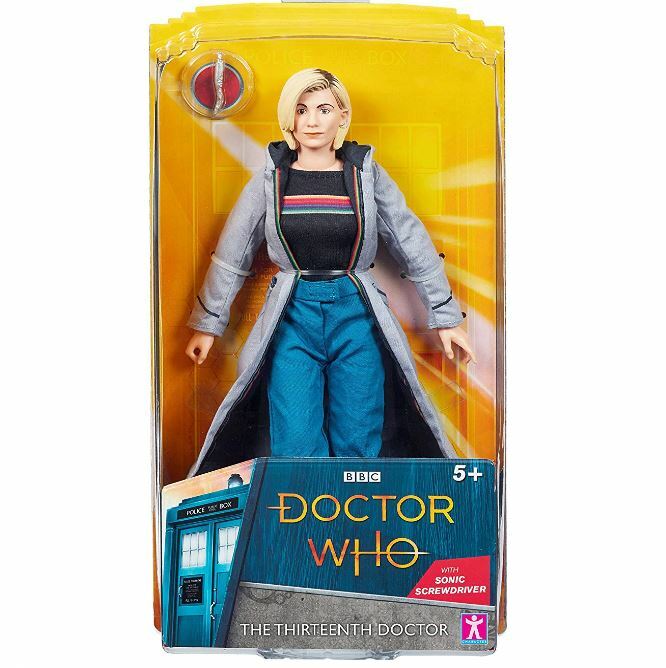 This is a perfect partnership for not only Doctor Who’s incredible fans, but also for the brand. We have just celebrated our most successful year yet. Doctor Who’s latest season delivered record ratings for BBC AMERICA and it was most downloaded full TV seasons of 2011 in the U.S. on the iTunes Store,” says Soumya Sriraman, executive vice president Home Entertainment and Licensing. The eight-issue limited series will be written by Scott and David Tipton, who have written for Star Trek before in Star Trek: Infestation. Doctor Who writer Tony Lee is also expected to contribute to writing duties for the series. 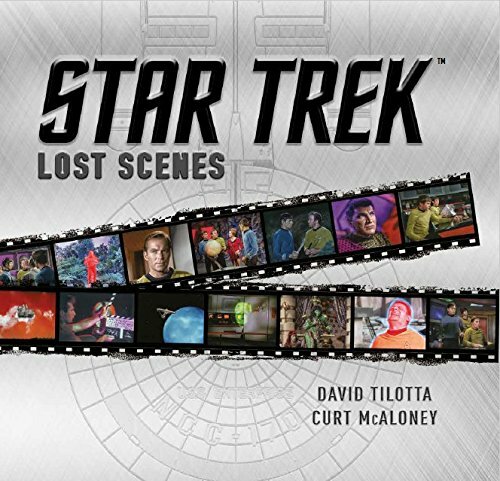 A key feature of the series will be painted covers and interior art by James K. Woodward (Star Trek: Captain’s Log: Jellico, Star Trek: New Frontier, Star Trek: The Last Generation, Star Trek: Alien Spotlight). If this is truly from the series (sometimes blogs release their own Photoshop fantasies as reflecting a new release so it is anyone’s guess) this may indicate the future time period for this mash-up, or that there may be some time travel within Picard’s tenure in Starfleet. I know what you’re thinking: Will the Enterprise-D be harder to steer than the Tardis? Woodward is pretty creative, too. Check out this great take on a classic Justice League of America cover (#195). 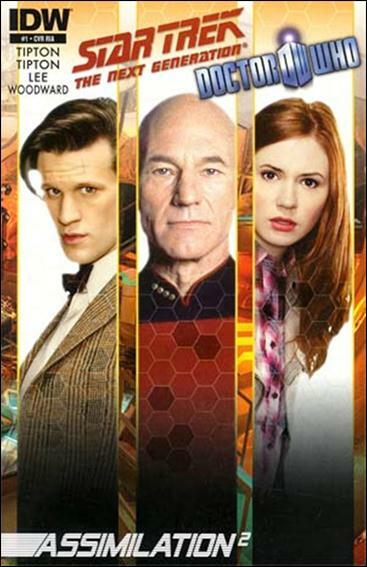 Star Trek: The Next Generation/Doctor Who: Assimilation² is scheduled for release May 2012.